Artists from Leonardo da Vinci to Joshua Reynolds took the words of Pliny to heart, producing exquisite flesh tones of pearly greys with luminous scumbles, employing as little as three to five colours. 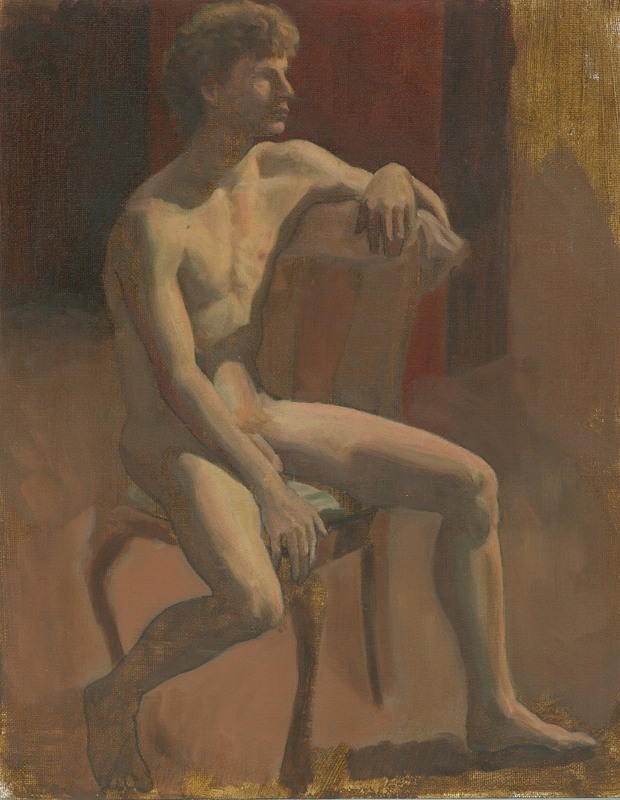 In a similar vein, over an extensive eight week pose, this course aims to introduce students to painting from the life model using a limited palette of no more than four to five colours. No painting experience is necessary, just a desire to begin the process of mastering flesh tones using a limited palette. Some prior life drawing experience is highly recommended. One to two classes accurately drawing the figure onto a primed canvas using either charcoal, white chalk or the brush. Learn how to arrange the palette and mix up nine tints of flesh colour from light to dark with a palette knife. Lay in a transparent shadow colour using only brown or a mixture of black and red. Direct or indirect ‘dead colour’ approach - either employ all four/five colours immediately or start with a monochromatic palette. Students who choose an indirect approach, will exclude either red or yellow, introducing these colours during the later layers of the picture. Either way, the initial layers will function as ‘cool’ values and the later as ‘warm’. Note: The indirect approach allows the student an easier initial focus on tonal values but requires greater discrimination when deciding how much of the initial layers to leave, cover, thinly scumble or glaze in the later layers. The student may decide to creatively exaggerate warm and cool values at this point, relying less on the observed model, in preference for aesthetic effect. Begin laying in three broad planes of colour, tonally representative of a front plane and two sides planes for all the major forms of the figure. Add further planes of colour until the student has created a sense of modelled form throughout the figure study. A minimum of six to eight medium sized brushes and three "000" brushes. Small bottle of odorlous solvent, medium size bottle of linseed oil. Oil primed canvas preferably with a first dry pale grey layer of colour consisting of mostly white but also black and some yellow and red. Note: You may wish to buy some liquin and add it with solvent and oil to ensure this layer is dry well in advance of the class. Soap and soap container for washing brushes. Paper towels and linen rags, for wiping brushes and cleaning palette.